← Ace of Wands – It’s a Go! Aces are equivalent to the number 1 and as such indicate very initial beginnings and are very powerful and forceful. Aces are also raw expressions of the element that they represent. Ace of swords are part of the Suite of Swords whose element is air. Air represents thoughts and intellect in the tarot. The Ace of swords represents the purest form of air. Some Key Words for the Ace of swords are new beginnings, awakenings, action, conquest, mental clarity and strength in spite of diversity. 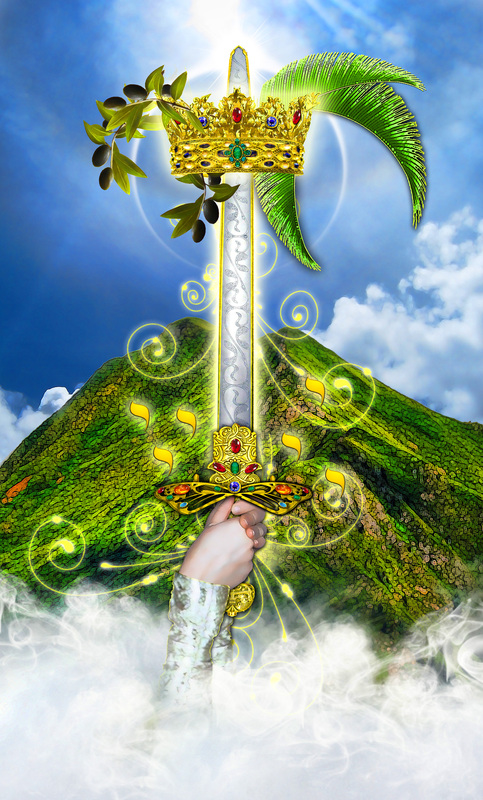 On the overall, the Ace of swords appears in a reading, it indicates communication and thoughts and how they are used through the power of the mind. The Ace of swords could indicate the beginning thought of a project that deals with knowledge, e.g. writing a book. The Ace of swords can also indicate an “a ha” moment which brings forth a clarity of mind, new perspective and understanding to situations that may have seen unclear previously. When the Ace of swords appears reversed in a reading, it indicates that there is confusion of the mind caused by a lack of clarity, self-doubt or distractions caused by the outside word. For additional meanings regarding the Ace of swords, I would highly recommend, “The Ultimate Guide to Tarot Card Meanings” by Bridget Esselmont. What are your thoughts on the Ace of swords? This entry was posted in Suit of Swords and tagged Ace of Swords. Bookmark the permalink.